Have you ever been given a shirt at a conference, a race, or an event? The shirts that are usually given out are unisex shirts. They are about as basic as they come. How Does A Unisex Shirt Fit? You may be wondering why we put men’s shirts and unisex shirts into the same category. We do this because the unisex shirt is actually quite similar to a men’s shirt. 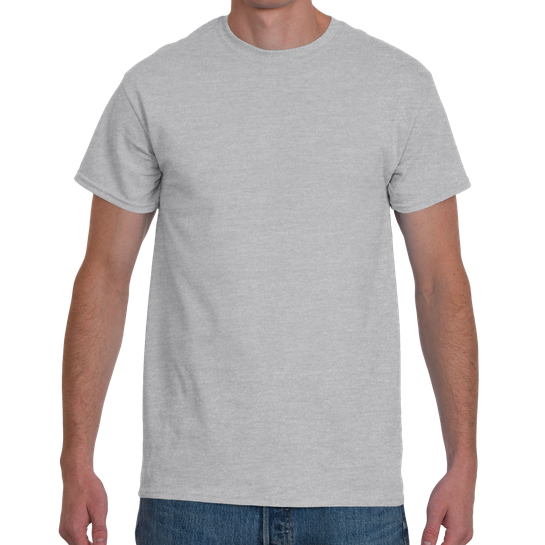 A unisex shirt features a straight cut, which is nearly identical to the men’s cut. It is unfitted and not meant to hug a woman’s shape. This can be a great thing for some women, but an undesirable thing for others. Let's take a look at the fit on some products. As you can see, the unisex shirt and the men's shirt are a very similar cut. 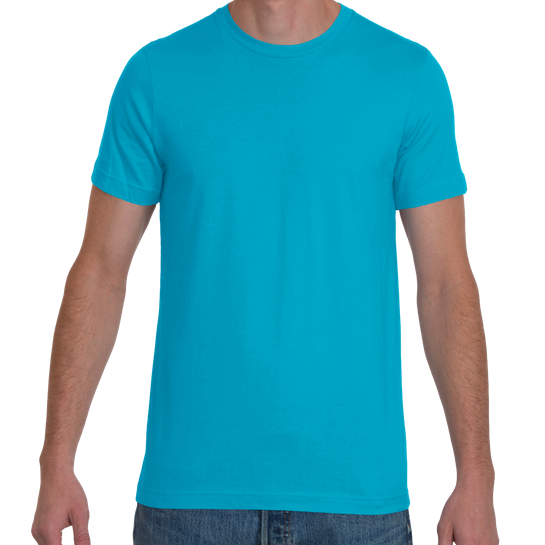 The sides are straight and shoulders are broad and slightly boxy. So why make a unisex shirt at all? Truth be told unisex shirts are branded as such so that companies can sell more shirts. Think about it … if you market a shirt as being “unisex” instead of “men’s”, it opens up your product to both genders, not just men. Calling a shirt unisex makes it easier for women to feel comfortable about buying a more masculine cut shirt. When Should I Offer Unisex Shirts? Many people make the mistake of thinking that offering a unisex shirt in their shop is like offering a shirt that will be great for both men and women. Unfortunately, this isn’t entirely true. Some women prefer a more fitted shirt, so a unisex shirt would not be desirable. However, some women are totally fine wearing a more boxy and unfitted shirt. Heck, some women prefer it to the more curve-hugging fits. So when should you offer a unisex shirt as an option in your store? You need to consider your target audience (the people you are selling your shirts to) before you can answer that question for yourself. Would selling or highlighting an item as "unisex" be helpful for your sales? Are you selling to women that you believe would prefer a more masculine cut? When Should Men Buy Unisex Shirts? Anytime! As we said earlier, unisex shirts are very similar to men’s shirts. The straight cut generally works well with a man’s body type. When Should Women Buy Unisex Shirts? 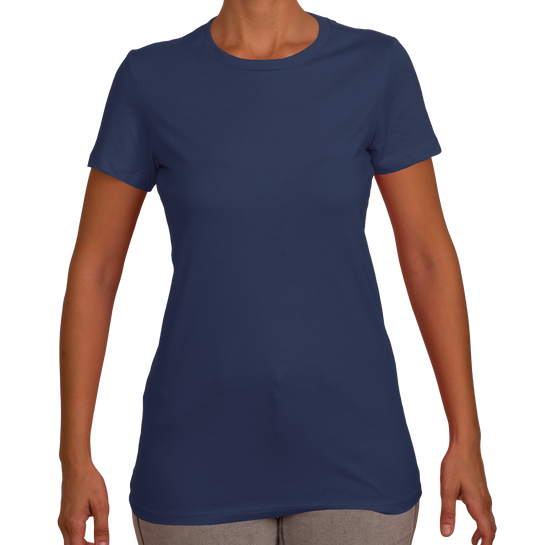 If the women you are selling to prefer a more basic / unfitted cut in their tops, offering a unisex shirt is great idea! Typically if your designs are geared toward a younger or more trendy audience of women, a unisex shirt might not be as appealing as a fitted women’s shirt. However, it can be hard to say since everyone has their own fashion sense, and everyone feels comfortable and confident in different styles. Still aren’t sure what type of shirt to offer? The best part about this is, since Print Aura prints on demand, you really don’t have to choose. You only pay for the items you sell. You can offer men’s shirts, women’s shirts, and unisex shirts. There is no risk to you because you aren’t paying for what you don’t sell. Providing a wider range of options to your customers can be a great way to get a better understanding of the people who are buying your shirts too. You can offer all 3 types of shirts and see which ones sell best. You haven't done so already, sign up today and start selling!